Horse riding can be a liberating and terrifying experience at the same time. Some people ride for a living, others for the sheer pleasure of it and everyone else dreams of one day doing it. Horses are magnificent and gentle creatures but riding is not something to be taken lightly. Only once you’ve jumped in the saddle for the very first time will you know if you are actually prepared to ride or not. One of the best ways to prepare for a horseback lesson is by equipping yourself with proper riding garments. Although there are no specific requirements for horseback riding, there are some common-sense notions that responsible riders respect. First of all you have to protect yourself from any injuries. Secondly, you have to protect the horse from injuries. Also, did you know that if you are not accustomed to riding for long periods, your thighs will feel completely destroyed? Unexpected events like this can be avoided with proper equipment. In the following guide I will present clothing items, accessories and equipment that you need for horseback riding. I will also take a look at horse tack basics. Your horse also needs equipment, doesn’t he? Arguably the most important piece of equipment, the helmet must have the ASTM/SEI certification label. This means that cowboy hats, hunt caps or bicycle helmets, so often used by equestrians, are a big no-no. Riding attire doesn’t have to burn a hole through your pocket, but the helmet is something you will definitely want to spend some extra money on. The typical approved headgear should cost between 30 and 300 dollars. Kerrits has a splendid selection of technical riding shirts and equestrian jackets that you should check-out if you plan on going to a horse show. A plain shirt should be enough for casual horseback riding as long as it fits appropriately. In general, riders go for vivid or bright colors as they enhance visibility. If you plan on riding outside you might want to purchase a special vest or jacket, because normal clothing rather restricting. On Kerrits you can also find special winter coats that offer enough space for the shoulders and arm movements. Your boots are probably as important as the helmet. They will not only keep you safe, but also the horse. Unlike helmets, there is no official security standard. What most people don’t know is that even cheap riding boots are better than the ones they have just pulled out from the closet. That’s because they have special grip on the soles. Another common mistake is using heavy winter boots that will hurt the horse, or gym shoes which may jam the stirrup. English riding boots are probably the best and most affordable choice for beginners. If you don’t want to buy equestrian boots you should at least make sure that the shoes you choose are supportive of your ankles. If it’s your first time on the horse you should consider wearing a body protector for extra safety. 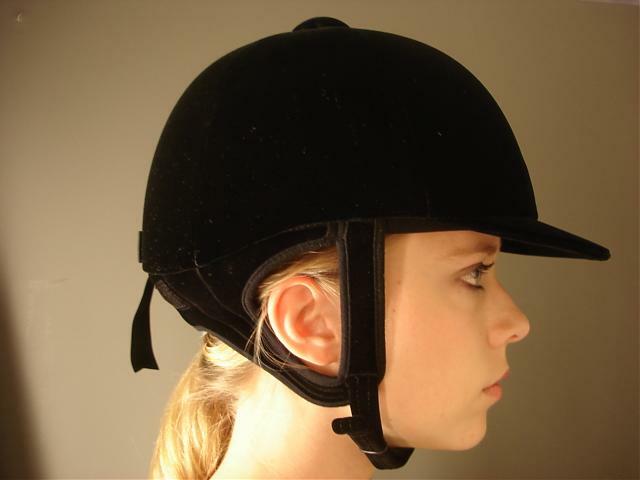 It will protect your neck and back in the eventuality that you fall off the horse. Gloves provide with better grip and protect your hands from the hard leather on the bridle. Regular or equestrian gloves are both fine. The saddle: everybody knows that it serves as a seat for riders, but do you know what type of saddle is best suited for you? The most important thing is that the saddle is comfortable not only for the rider, but also for the horse. Saddles also have their own accessories such as crupper, breeching, surcingle and breastplate. Reins: are designed to facilitate better communication between the horse and the rider. By pulling left or right you can tell the horse were you want him to go. Pulling both reins at the same time will signal the animal to stop. Headgear: will enable you to control the horse. There are several accessories worth mentioning here, including headcollar – with the headstall and nosebands – bridle and halters. Stirrups: this piece of equipment hangs on the side of the horse. It is basically the support for the rider’s feet.